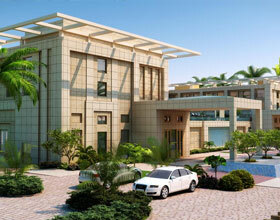 Address: Taj East Gate Road, Agra, Uttar Pradesh 282001 India. Important : Above rates are applicable on a minimum stay for 1 night . Transfers from Agra railway station. Cocktail hour every evening from 7 pm to 8 pm with select wines , spirits and beer. 25 Percent savings on Spa therapies . Note : Complimentary room for 2 children up to 12 years of age subject to availability on the offer. 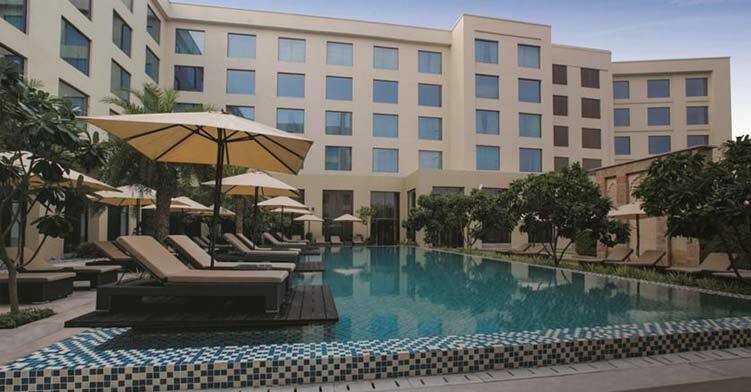 A tribute to the era of world's marvel The Taj Mahal, Oberoi Amarvilas is a grand hotel with splendid architecture inspired from the rich Mughals. Cradled in the heritage city at a walking distance from the monument of love, this luxury property is an immaculate fusion of yesteryear culture with contemporary lifestyle. Unblemished staff adorned in the traditional attire of the regal era, enchants the glory of Oberoi Amarvilas Agra with its warm cordial hospitality. 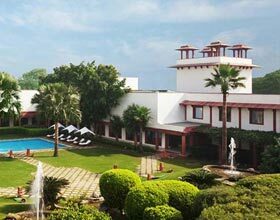 The hotel features grandeur driveways advancing towards the hotel embellished with indigenous green trees and awe-inspiring flamed torches, marvelous water bodies, and exquisite alleys. 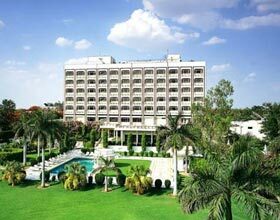 The Amarvilas by Oberoi Group prides in its magnificent high ceilinged ballroom, board rooms and verdant lawns for organizing sumptuous destination weddings, high end annual corporate meets, board meetings or gala receptions. A nirvana from the tiring day agenda is the wellness facilities of this majestic hotel, with royal mesmerizing episode of lodging. Signature Noor-e-Taj Spa reanimates the guest with its array of aromatherapies and traditional treatments. Snuggle down in the deckchairs to get yourself sun drenched or take a refreshing dip in picturesque swimming with alfresco and indoor sections . 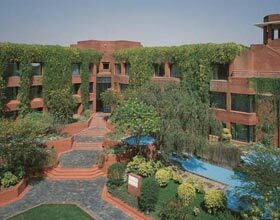 Modishly equipped gymnasium is relished by guests at this 5 star luxury hotel near Taj Mahal in Agra . Boasting of its resplendent structure, Oberoi Amarvilas offers dazzling views of the scintillating Taj Mahal from each of its room. 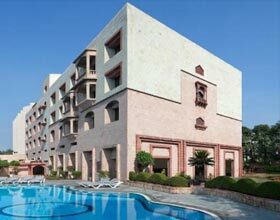 All 102 accommodations of this luxe hotel are subtly differentiated in to Premier Room, Premier Room with Balcony, Deluxe Suite, Deluxe Suite with Balcony, Luxury Suite, and Kohinoor Suite; all facilitated with modern amenities including enameled tub in the bath, internet access and LCD TV. Intricate rich interiors portraying the craftsmanship of the local artisans, kingly furniture, carvings and inlay works are appreciated by guests during their stay in these comfortable rooms. Exalting the tranquility of this magnificent hotel are the splendid private dining venues, with intimating serene ambience creating memorable moments with loved ones other than its onsite restaurants and lounges. Esphahan is a placid candle lit dinner venue with ornate walls, resplendent panorama of the Taj and rich upholstery serves scrumptious delicacies from the Mughal kitchen. Enjoy the rhythmic melodies of the traditional music when you dine in at this diner. 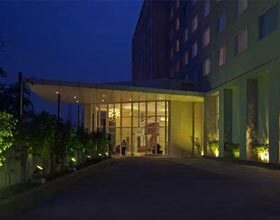 Bellevue is a sparkling eatery to savor the delectable cuisines from Indian and continental fares. The Bar and The Lounge are the splendor venues to spend valuable moments with loved ones while you sip the finest wines or refreshing espressos respectively.